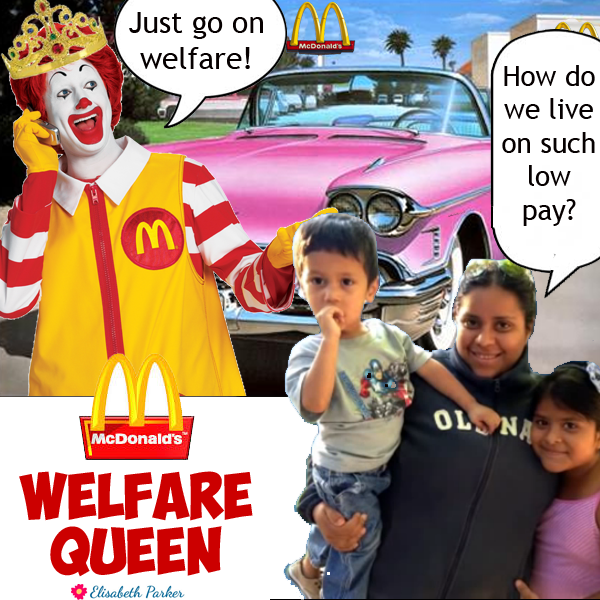 Some label Walmart and McDonald’s as “Welfare Queens.” The reasoning goes that due to the low wages and paltry benefits paid by these companies, their employees rely on public assistance to make ends meet. This taxpayer funded assistance would not be needed if the companies paid better. Therefore, the cost of the assistance amounts to welfare for the corporations. The problem with this reasoning is that assistance paid to the employees benefits the employees, not the employer. Theoretically, they are actually a cost to the employer because they raise the reservation wage (the lowest wage for which a person will work), but this effect is obscured by the minimum wage (which is higher than the reservation wage). A place where true corporate welfare can be seen is agribusiness. Federal crop subsidies overseen by the Department of Agriculture flow directly into the coffers of the largest farming companies. Corporate Welfare and Crony Capitalism both refer to corporate entities receiving unearned subsidies. Corporate Welfare is the more intuitive term. Slivinski (Cato Institute) states, “‘corporate welfare’ is defined as any federal spending program that provides payments or unique benefits and advantages to specific companies or industries.” Sinn (Think by Numbers) offers a similar definition, then clarifies that an expenditure is only welfare if the government does not receive goods or services in exchange. Mattera (Good Jobs First) expands the definition from federal spending to include state and local spending as well. Investopedia notes: “These (rent-seeking) activities don’t create any benefit for society, they just redistribute resources from the taxpayers to the special-interest group.” Henderson (Concise Encyclopedia of Economics) reinforces that while rational from the narrow viewpoint of the rent-seeker, rent-seeking activities are pure loss to the economy as a whole. There is substantial overlap in these definitions of corporate welfare and crony capitalism, as both cover the broad concept of the government transferring money or other advantages to corporations. To clarify the differences, consider senior citizens lobbying for increased Social Security benefits. This fits the definition of crony capitalism, but not corporate welfare because senior citizens are not a corporation. In contrast, a licensed electrician enjoys reduced competition created by a stricture on unlicensed electrical work. This is a form of corporate welfare, but not crony capitalism because the electrician did not personally lobby for the regulation. There’s a woman in Chicago. … She has 80 names, 30 addresses, 12 Social Security cards. … She’s got Medicaid, getting food stamps and she is collecting welfare under each of her names. Her tax-free cash income alone is over $150,000 (over $600,000 today). This slightly embroidered story of fraud in the social welfare arena resonated with white, working class voters, and over time it took on a life of its own. Eventually, President Clinton and a Republican-controlled congress ended welfare as it was known in 1996, but the myth of the Welfare Queen lived on. Today it has jumped from the social realm to the corporate realm, and companies receiving corporate welfare are pilloried as Welfare Queens. “Walmart,” according to Americans for Tax Fairness (ATF), “is the largest private employer in the United States, with 1.4 million employees. The company, which is number one on the Fortune 500 in 2013 and number two on the Global 500, had $16 billion in profits last year (2013) on revenues of $473 billion.” Ritholz (Bloomberg View) provides a comparable synopsis. Walmart receives an estimated $6.2 billion annually in mostly federal taxpayer subsidies. The source is employees receiving public assistance due to low wages and poor/non-existent benefits. Walmart avoids an estimated $1 billion in federal taxes each year through the use of accelerated depreciation. The Waltons avoid an estimated $607 million in federal taxes on their Walmart dividends because dividends are taxed at a lower rate than ordinary income. Worstall (Forbes) calls the ATF report “fantastical nonsense,” and answers point for point. Except for the Earned Income Tax Credit (EITC), all assistance received by Walmart employees are benefits to the employees, not the company. In fact, they are a cost to the company because they raise the reservation wage. The use of accelerated depreciation is a matter of tax law. Walmart is merely doing what the IRS tells them to do. In the US, dividends are taxed twice, once as corporate profits and again as income. The combined rate is actually higher than the rate on ordinary income. The first point goes to Worstall. ATF reflects the popular view that public assistance paid to employees is a corporate subsidy. Worstall counters, consistent with the definition of Corporate Welfare above, that benefits paid to employees are not subsidies to the employer. Only benefits paid to the employer can be counted as corporate welfare. The second point is split. Worstall is correct in pointing out accelerated depreciation is what the tax code dictates. However, The Committee for a Responsible Federal Budget recognizes accelerated depreciation, which is intended to encourage investment, as the largest corporate tax break in the tax code. Since it is an advantage that Congress can give or take away, ATF are correct to include it in their analysis as a type of corporate welfare. On the third point, Worstall is correct. The dividend income should not be considered a Walton family benefit. However, the double taxation on dividends, like accelerated depreciation, is a matter of Congressional dictate. Since current policy does not favor a special-interest group, but rather is a penalty, it does not meet the definition of corporate welfare. However, this situation could change following an act of Congress in the future. The essence of McDonald’s story is very similar to Walmart’s. McDonald’s is often held up beside Walmart as the second corporate Welfare Queen. According to the National Employment Law Project (NELP), low wages and lack of benefits at McDonald’s are estimated to cost taxpayers $1.2 billion per year. Again, most of this money is paid to McDonald’s employees, so it is not a subsidy to the corporation. The popular notion of Walmart and McDonald’s receiving corporate welfare as a result of their low wage and low/no benefit policies does not hold water, but this does not mean the companies are exonerated. Walmart, for example, acts as a monopsonist (a sole buyer, like a monopolist is a sole seller) in the wholesale and labor markets, and thus can dictate terms. There is also the question of anti-union activities and allegations of sexism. These issues will have to be the subject of another essay. Corporate farms are not popularly portrayed as Welfare Queens, but, according to Sinn, they received about 40% of federal corporate welfare. Federal crop subsidies fund the wealthiest farmers. As Sinn observes, corporate welfare works opposite of social welfare. In the social sphere, the less you have, the more you get. In the corporate sphere, the more you have, the more you get. Slivinski (p. 7) (Cato) found the richest 10 percent of subsidy recipients received 66 percent of subsidies in 2005. Instead of aiding small family farms, the subsidies help large industrial operations shut them out of the market. The true Welfare Queens, then, are companies you may never have heard of: Riceland Foods, Inc, Producers Rice Mill, Inc, Farmers Rice Coop, etc. (per EWG). 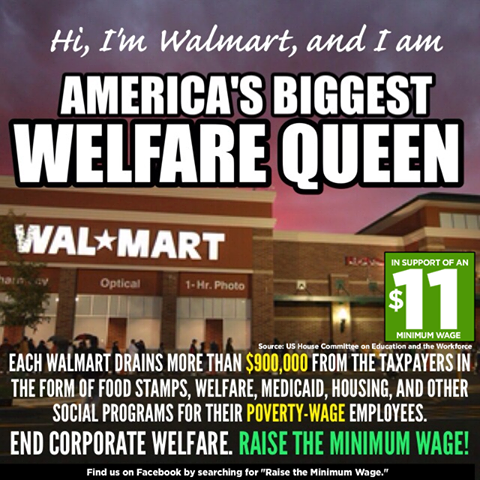 The popular portrayal of Walmart and McDonald’s as corporate Welfare Queens is false. It is true that because these companies pay low wages and minimal benefits many of their employees rely on various forms of public assistance. It is not true that the assistance paid to the employees is welfare to the employers. The assistance would have to be paid to the employer for that to be the case. Even if they are not receiving corporate welfare from paying low wages, their behavior in the labor market is highly suspect. This is the subject for another essay. Valid examples of corporate welfare can be found in farming. The Department of Agriculture distributes federal crop subsidies in such a way that the richest corporate farming operations receive the most benefits. This entry was posted in Economics and tagged corporate welfare, McDonalds, Walmart on June 19, 2014 by Stuart F Jones. My wife’s car has given up the ghost. At sixteen years and a quarter-million miles, it does not owe us anything. Now we are in the market for a good, reliable used car. I do not like shopping for cars. I always feel that I am getting fleeced. I am still working on my next post on Corporate Welfare. I expect to have it ready in a few days. I am distressed at how long it is taking me to write. I am far from the ideal of posting an article a week. This is not the post I set out to write. I set out to write the story of Cecily McMillan’s arrest, trial and conviction. I found out that this story has been written by many others.1 See for example Funkhouser (The Nation), Swaine (The Guardian) and McKinley (New York Times). People are also trying to make sense of McMillan’s conviction. Macare (Truth Out) introduces the metaphor of “who breaks a butterfly upon the wheel?” and looks at the power disparity between the accused and the state. Zeese (interviewed on The Real News) names the conviction an “attack on dissent.” Finally, and importantly, Arnade (The Guardian) compares McMillan’s trial, with its publicity and lawyers, to the case of a homeless woman facing a similar charge with far fewer resources. 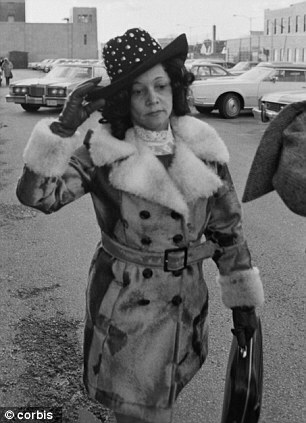 McMillan faced to up to seven years in prison, and was sentenced to 90 days. In the days leading up to her sentencing on Monday, May 19, 2014, I became interested in what awaited her in prison. This is the post I will write. This entry was posted in Prisons and tagged Cecily McMillan, Justice4Cecily, prison, Rikers Island on May 21, 2014 by Stuart F Jones. I ran across this video today by author David Korten. It is a few years old, but I think it does a very good job of explaining plutocracy in US government. Korten argues that the US was founded as a plutocracy. The Constitution was written to establish white men of the propertied class as the leaders of government. This was the norm until World War II. Following the war, the US entered a period of egalitarianism, until some time in the 1970’s when corporate powers became concerned that we were becoming too egalitarian. Over the past forty years, we have seen a return to the plutocratic norm of our history. (What Korten sees as a return to historic norms is what I see as plutocracy ascendant.) 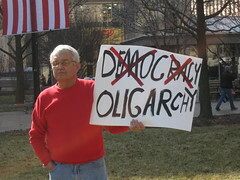 He concludes with actions to take to counter plutocracy with deep democracy. This entry was posted in Links, Plutocracy and tagged David Korten, Plutocracy, video on May 14, 2014 by Stuart F Jones. 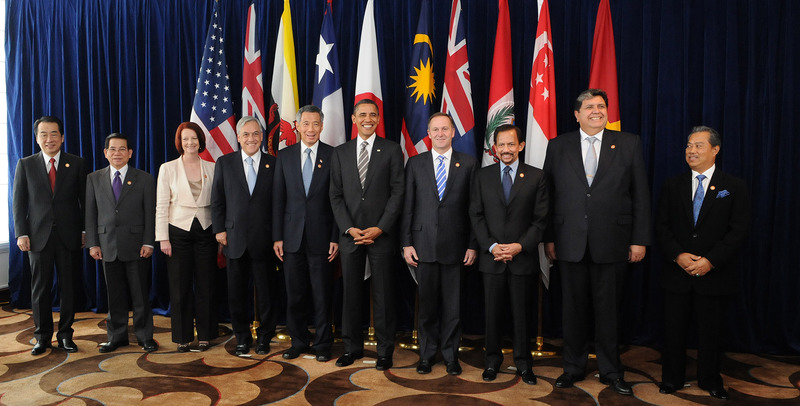 This entry was posted in Corporatism and tagged fast track, foreign policy, jobs, secrecy, TPP, trade agreement, Trans-Pacific Partnership on May 7, 2014 by Stuart F Jones. This essay is a summation of one of the main topics in The Shock Doctrine by Naomi Klein1. Milton Friedman (1912-2006) was an economist and professor at the University of Chicago. He became a leader of the Chicago School of economics, which in the 1950’s was a bulwark of conservative academics challenging the dominant statist thinking of the day. The Chicago School espoused a radical free market ideology, treating as sacred the forces of supply, demand, inflation and unemployment. A free and balanced market, they believed, would “create just the right number of products at precisely the right prices, produced by workers at just the right wages to buy those products” (p. 61). If the market was out of balance, suffering high inflation or soaring unemployment, then it was not truely free and some deregulation was needed. Unfortunately, there was no way for Friedman and the Chicago School to test their theories in the real world. They had to settle for mathematical equations and computer models. Salvador Allende won the 1970 election in Chile. His platform called for nationalizing large sectors of the economy run by foreign and domestic corporations. His plans were ardently opposed by the corporate interests and the CIA. A plan for regime change was developed along two tracks, military and economic. The Chicago Boys were firmly in charge of the economic plan, producing “The Brick,” a five hundred page plan to guide the junta from its earliest days. The plan called for “privatization, deregulation and cuts to social spending – the free-market trinity” (p. 94). The Chicago School would finaly have the chance to test its theories. The coup came on September 11, 1973, lead by General Augusto Pinochet. It was accomplished by mid-afternoon, but Pinochet believed a rein of terror was necessary to consolidate his power. The details are gorey and appaling, and ended with more than 3,200 dead or disappeared, 80,000 imprisoned, and 200,000 fleeing the country (pp. 93-94). On the day of the coup, several Chicago Boys were at the presses of the right-wing El Mercurio newspaper working to get “The Brick” printed. They succeeded, and the General Officers of the Armed Forces had the plan on their desks the next day. Milton Friedman flew to Santiago in March 1975 at the invitation of a major bank. He gave several lectures while there and met briefly with Pinochet. Pinochet asked Friedman to write an advisory letter, which he did. Friedman’s advice included cuts to government spending and expanding free trade. He predicted an “economic miracle,” with inflation and unemployment resolved “in months.” Pinochet fired his economics minister and put a Chicago Boy in his place. They got to work cutting government spending, privatizing govenment assets and removing trade barriers. In the first year, the country fell into recession. The economy contracted 15% and unemployment climed to 20%. Today, free market enthusiasts hold up Chile as proof that Friedmanism works. However, the period of steady growth held up as a miracle did not start until the mid-1980’s. In 1982, Chile’s economy crashed despite strict adherence to Chicago School doctrine. The main cause lie with the piranhas. This group amounted to an Enron style financial house, and the Chicago Boys had freed them from all regulation. These piranhas had bought up the country’s assets with borrowed money and run up a debt of $14 billion (p. 104). The instability was such that Pinochet, in a complete reversal of policy, was forced to nationalize many of these companies. The only thing protecting Chile from complete collapse was that Pinochet never privatized the state copper mines. Chile would prove not to be a “pure” free market state, but a corporatist one. It was a place where a small elite could go from merely wealthy to super rich in a short amount of time. The success formula was bankrolled by debt and heavily subsidized with public funds. When necessary, if was bailed out with public funds (p. 104)2. This time period in Chile was one of all-out war by the rich against the poor and middle class. As of 2007, Chile was still ranked as one of the world’s most unequal countries, placing 116 on a list of 123. To those outside the wealth bubble, the Miracle of Chile looked like the Great Depression. To those inside, the fast and easy wealth became like crack cocaine. The financial markets did not try to learn from the Chile experiment, but rather sought the next fix. This entry was posted in Economics and tagged Chicago Boys, Chicago School, Chile, free market, Milton Friedman, Naomi Klein, Shock Doctrine on April 26, 2014 by Stuart F Jones. The author of Plutocracy Ascendant is from the United States.